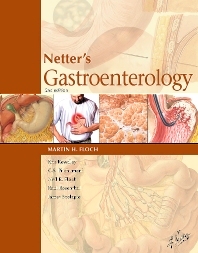 Netter’s Gastroenterology, 2nd Edition, edited by Martin H. Floch, MD, covers the entire field of digestive diseases—including those related to gastroenterology, hepatology, and nutrition—in one concise reference. A templated format offers a quick and memorable summary of nearly 300 of the most commonly encountered clinical conditions, from the classic to more contemporary, while hundreds of vivid Netter illustrations depict key anatomic structures and highlight important concepts. Uses nearly 400 Netter and Netter-style images that highlight key aspects of patient presentation, pathophysiology, and relevant anatomy to provide a rich visual understanding of the most important concepts. Features concise text presented in a templated format for fast, easy access to key information. Provides complete guidance on all major GI diseases and conditions through sections on normal structure and function and summaries of the "clinical picture," diagnosis, treatment and management, course and progress, and prevention and control. Dr. Floch is a Clinical Professor of Medicine at Yale University where he recently formed the Fellow’s Clinic in the Digestive Disease Section supervising all gastrointestinal trainees in consultation on problem cases. He is a Master of the American College of Gastroenterology (MACG) and an American Gastroenterology Association Fellow (AGAF) as well as a Fellow of the American College of Physicians (FACP). 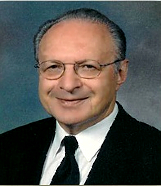 He formerly was Chairman of Medicine at Norwalk Hospital and the Founding Chief of Gastroenterology and Nutrition in Norwalk. He is Editor-in-Chief of Journal of Clinical Gastroenterology and has written five books including the 2nd edition of the textbook “Netter’s Gastroenterology”. Dr. Floch is renowned for his work in gastric and intestinal diseases and probiotics. He lectures nationally and internationally, haven given Grand Rounds at Harvard, Brown, UMass, and UConn among others. He is a consultant to Pfizer, Proctor & Gamble, Dannon, Shire and Biocodex. His research has been extensive in gastroenterology having had grants from the Armed Forces and National Institute of Health. Dr. Floch has a FWCI of 1.18 and has the majority (76%) of his content published in gastroenterology journals. 8.7% of his work appears in the top 10% most cited journals worldwide. Dr. Floch has experience with national, international, institutional and single authorship.